Join PHF and the Bio-Defense Network on Wednesday, July 27, 2016 from 1-2pm ET for a webinar focused on preparedness and response to the Zika Virus. The webinar will include information and resources from two local health departments who are addressing mosquito surveillance and control. They will share what practical and replicable efforts they are carrying out in their communities to prepare for and respond to Zika. Quality improvement methods and processes such as self-assessments, project plans, and the Vector Control Population Health Driver Diagram will also be shared. Register today. As a doctor, I am the go-to person my friends rely on when they have a medical question. A good friend recently said to me, “I’m so overwhelmed by all of the health advice out there that I tend to just tune it all out.” She went on to say that every time she turns around, she hears something else that women should do to stay healthy: get a mammogram, get your Pap smear, get a colonoscopy, don’t smoke, exercise, get more sleep, get a flu shot, eat more kale, get a whooping cough vaccine (pertussis booster vaccine)…and I think you get her point. I certainly did. This got me thinking. As a woman, an oncologist, and the director of CDC’s Division of Cancer Prevention and Control, I can help. I don’t want you ignoring anything that may help you stay healthy…and alive! To help lighten the load, I’ve created your very own cheat sheet for cancer screenings and good health. CDC supports screening for breast, cervical, colorectal (colon), and lung cancers as recommended by the U.S. Preventive Services Task Force. I’ve started your cheat sheet off with the screenings (checking your body for a disease before you have symptoms) that are available for some of the cancers that most often affect women. But I challenge you to add to it with your doctor’s recommendations for further screenings or tests based on your own health, family history, and age. Download this printable fact sheet [PDF-106KB] to take to your next appointment. Breast cancer Mammogram If you are 50 to 74 years old, get a screening mammogram every two years. Cervical cancer (two choices) Pap test (Pap smear) only If you are 21 to 65 years old, you can get a Pap test every three years. HPV test (combined with Pap test) Or if you are 30 to 65 years old, you can get a Pap test and an HPV test every five years. I hope this cheat sheet helps you understand the different types of cancer screenings that are available to women. But remember, there’s more to your health than just cancer screenings. While I challenge you to make that mammogram appointment, I also encourage you to schedule a well-woman exam with your doctor every year. At this appointment, you can talk about your family history and ask about additional screenings or exams you may need for other diseases or conditions such as diabetes, osteoporosis, high blood pressure, or cholesterol. Don’t drink alcohol, or limit it to one drink a day. As I get older and watch my family and friends age beside me, I see how important good health is. It sounds so easy, right? But as a working mom, wife, and daughter, I know how many different directions you are pulled in every day. But remember, the best gift you can give the people who care about you is a healthy you. Put YOU at the top of your to-do list today so that you can give yourself the best chance of preventing or overcoming something that doesn’t have to overcome YOU. Lastly, to all of you fighting cancer or caring for someone who is fighting this battle, I encourage you to take steps to stay as healthy as you can during treatment. For more information, visit CDC’s Preventing Infections in Cancer Patients Web sitefor staying healthy during cancer treatment and 3 Steps Toward Preventing Infections During Cancer Treatment from the CDC Foundation. Rabe IB, Staples JE, Villanueva J, et al. Interim Guidance for Interpretation of Zika Virus Antibody Test Results. MMWR Morb Mortal Wkly Rep 2016;65. DOI: http://dx.doi.org/10.15585/mmwr.mm6521e1 . TUESDAY, June 28, 2016 (HealthDay News) -- Experimental studies support the effectiveness of two vaccine candidates against the Zika virus, according to research published online June 28 in Nature. This "critical first step" is leading to trials in monkeys and humans, "and gives us early confidence that development of a protective Zika virus vaccine for humans is feasible," said researcher Col. Nelson Michael, M.D., Ph.D., of the Walter Reed Army Institute of Research (WRAIR) in Silver Spring, Md., and one member of a team involved in the search for a vaccine against the virus. One of the new vaccines was developed at Harvard Medical School in Boston and is partly based on a Zika strain isolated in Brazil. The other vaccine, using a strain isolated in Puerto Rico, has been developed by Michael's team at WRAIR. Both vaccines shielded mice against Zika infection with just a single dose required, the researchers said. The two vaccines are similar to others already in use against flaviviruses, which include dengue fever, West Nile, and others. Clinical trials in humans are scheduled to begin later in 2016. "We showed that vaccine-induced antibodies provided protection, similar to existing vaccines for other flaviviruses," senior author Dan Barouch, M.D., Ph.D., of the Center for Virology and Vaccine Research at Beth Israel Deaconess Medical Center in Boston, said in a center news release. "The effectiveness of these vaccines, the clarity of the antibody protection, and the similarity to successful vaccines that have been developed for other flaviviruses provide substantial optimism for a clear path forward for the development of a safe and effective Zika virus vaccine for humans." THURSDAY, April 29 (HealthDay News) -- The daughters of women who suffered from a severe form of morning sickness are three times more likely to be plagued by it themselves, Norwegian researchers report. This form of morning sickness, called hyperemesis gravidarum, involves nausea and vomiting beginning before the 22nd week of gestation. In severe cases, it can lead to weight loss. The condition occurs in up to 2 percent of pregnancies and is a common cause of hospitalization for pregnant women. It is also linked with low birth weight and premature birth, the researchers said. The new study suggests "a strong influence of maternal genes" on the development of the condition, said lead researcher Ase Vikanes, a graduate student at the Norwegian Institute of Public Health in Oslo. 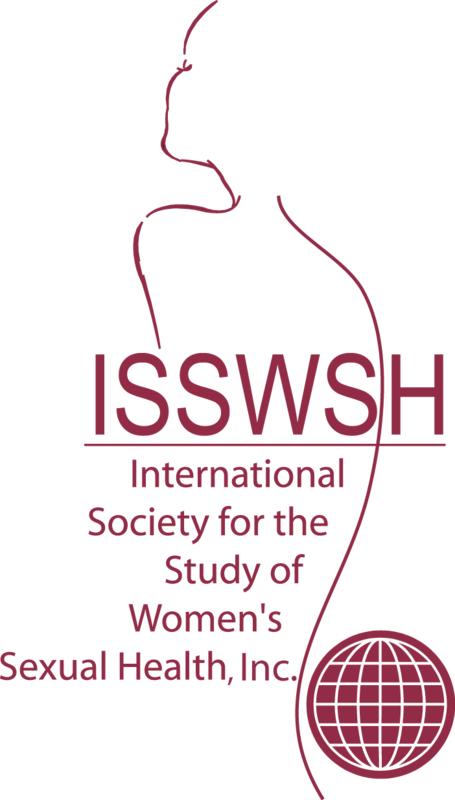 "However, environmental influences along the maternal line, shared risk factors such as life styles reflected in BMI (body mass index) and smoking habits, infections and nutrition might also be contributing to the development of hyperemesis gravidarum," she added. The report is published in the April 30 online edition of the BMJ. According to Vikanes, hyperemesis gravidarum was once thought to be caused by psychological issues, "such as an unconscious rejection of the child or partner." But her team wanted to see if genetics was actually the culprit. For the study, Vikanes's team collected data on 2.3 million births from 1967 to 2006. They tracked the incidence of hyperemesis gravidarum in more than 500,000 mother-daughter pairs and almost 400,000 mother-son pairs. They found that if a mother had the condition, her daughter was three times more likely to develop it as well. However, there is no increased risk to the female partners of men whose mothers suffered through it. Vikanes hopes the finding adds new insight into this condition. Besides helping to illuminate possible causes, "our findings might help health care personnel who treat and counsel women with a family history of hyperemesis gravidarum," she said. Brad Imler, president of the American Pregnancy Association, said that "hyperemesis gravidarum is a serious condition that creates health risks for both the mother and the baby. "Research into the causes and treatments of this condition are essential for discovering ways to alleviate the condition along with the health risks related to it," he said. Imler cautioned that a three-fold increase in risk is not something that should cause fear among pregnant women. That "means going from 1 in 100 to 3 in 100 incidences," he noted. Genetics appears to have a relationship with the condition, Imler said. "However, it would be important to have further research that controlled for environmental factors, dietary intake, and lifestyle habits, which also tend to be carried on from one generation to the next," he added. Dr. Gene Burkett, a professor of obstetrics and gynecology at the University of Miami Miller School of Medicine, said that, "for a long time we have thought there is a familial component, and this gives us the first real information on which we can say, 'Yes, there seems to be something that we need to pursue.'" However, Burkett said that the results need to be replicated in different populations before one can be sure the link is genetic. For more information on morning sickness, visit the U.S. National Library of Medicine. The U.S. Preventive Services Task Force seeks comments on a draft recommendation statement and draft evidence review on screening for gynecologic conditions with pelvic examination. After reviewing the evidence, the Task Force concluded that there is not enough evidence to determine the benefits or harms of performing screening pelvic exams in asymptomatic, nonpregnant adult women. The draft recommendation statement and draft evidence review are available for review and public comment from June 28 to July 25. In the last week, 15 states reported new Zika virus cases to the CDC, bringing to total number of cases in the 50 states to more than 800. U.S. territories also experienced a spike in reported cases. Between June 17 and Wednesday, 64 new cases of Zika virus in the 50 states and the District of Columbia were reported to the CDC, bringing the total number of cases from 756 to 820. In the U.S. territories, 420 new cases were reported in the last week, bringing that total from 1,440 to 1,860. All together, there are 2,680 Zika cases in the U.S. as of Wednesday. There are still no reports of locally acquired Zika cases in the states, excluding the lab-acquired case in Pennsylvania, but of the 819 travel-associated cases in the states, 11 were sexually transmitted and four had Guillain-Barré syndrome. Of the 1,854 locally acquired cases in the territories, seven had Guillain-Barré syndrome. 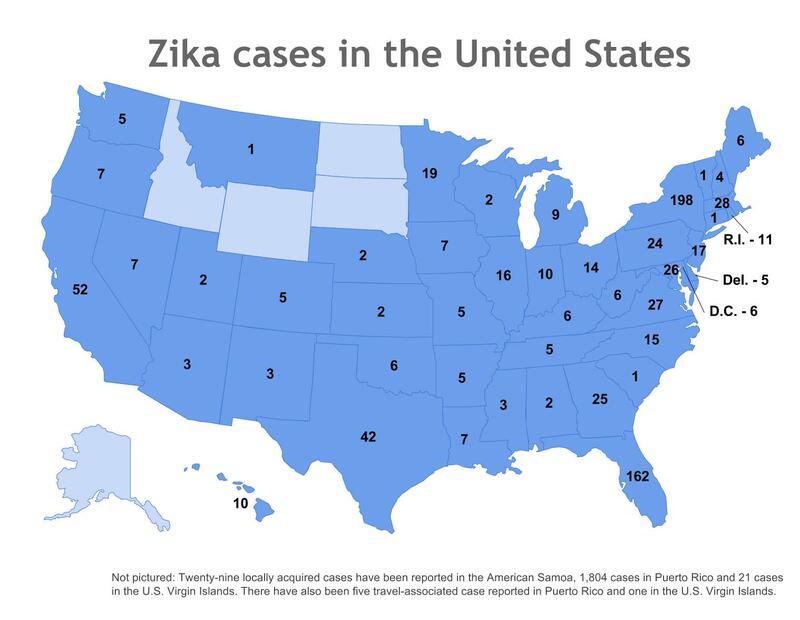 To see where Zika cases have been reported in the U.S. from Jan. 1 to Wednesday, check out the map below. New research points the way toward a potential vaccine against Zika, and may explain why the formerly mild virus exploded with such fury when it arrived in Brazil. A pair of studies published Thursday focus on Zika's complex relationship with a related virus called dengue, a common illness in Latin America and the Caribbean that causes flu-like symptoms. Dengue is spread by the same mosquito species as Zika, and the two viruses are so similar that blood tests sometimes can't tell the two apart. When people are infected with dengue, or any virus, the immune system releases key proteins called antibodies to neutralize the invaders. Authors of a study published Thursday in Nature found that two of the antibodies the body makes to fight dengue also prevent Zika infections. That finding could help scientists develop vaccines against Zika and dengue, said study coauthor Juthathip Mongkolsapaya, a researcher at Imperial College London. Scientists also might be able to use these antibodies to treat Zika, she said. Several groups are already working on Zika vaccines. Inovio Pharmaceuticals announced this week that it has received Food and Drug Administration permission for a small, early clinical trial of a Zika vaccine it's developing with GeneOne Life Science. The National Institute of Allergy and Infectious Diseases is pursuing four types of Zika vaccines; officials there say they expect to begin clinical trials in August. Yet the close relationship between dengue and Zika has a dark side. There are four varieties of dengue virus. 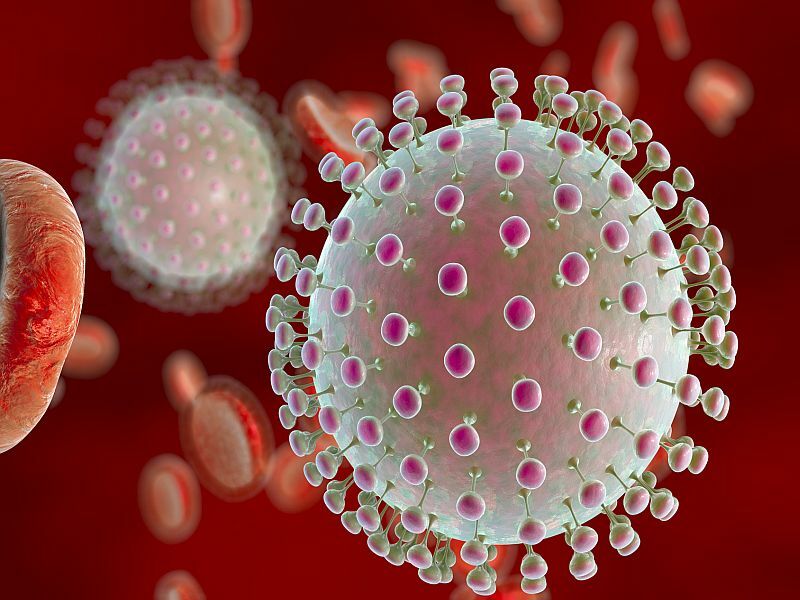 While people infected with the virus one time may develop relatively mild symptoms, those are infected a second time, with a different variety of of dengue virus, can develop severe, life-threatening complications, said Amesh Adalja, a senior associate at the Center for Health Security at the University of Pittsburgh Medical Center. In a second paper, published in Nature Immunology, researchers found that the vast majority of dengue antibodies do nothing to stop Zika infection. In fact, a lab experiment showed that most dengue antibodies actually helped Zika viruses proliferate and invade cells. 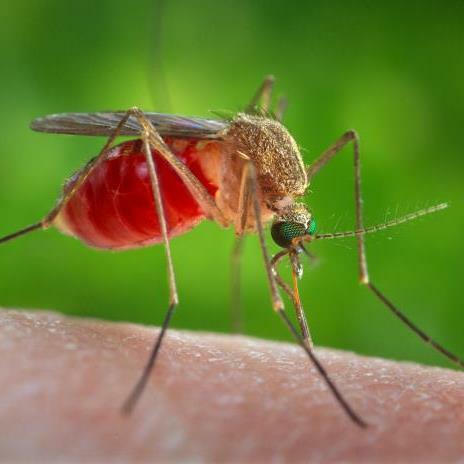 That suggests that people previously infected with dengue, whose antibodies against dengue remain in their blood, might have a more severe reaction to Zika, said Gavin Screaton, chair of medicine at Imperial College London. These results lend support to similar findings from Florida Gulf Coast University and the University of Pittsburgh Center for Vaccine Research. Not everyone is convinced that past dengue infections can make Zika cases more severe. While dengue antibodies may exacerbate Zika infections in the lab, there's no evidence that this happens in the real world, said Anthony Fauci, director of the National Institute of Allergy and Infectious Diseases. 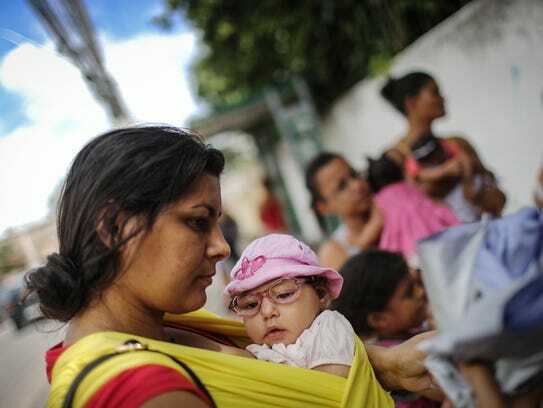 Scientists first discovered Zika in 1947, but it was never known to cause birth defects until Brazil experienced an alarming increase last year in microcephaly, a condition in which babies are born with abnormally small heads and incomplete brain development. Brazil has reported 1,660 cases of microcephaly, about 10 times more than usual, according to the World Health Organization. Microcephaly linked to Zika has been reported in 11 other countries or territories, including Puerto Rico, Panama, El Salvador, Colombia, Martinique, the Marshall Islands, French Polynesia and Cape Verde. These locations have different varieties of dengue viruses, Adalja said. It's possible that some varieties of the virus are more likely to be associated with Zika complications than others. Researchers have looked at a number of possible explanations for Zika's explosive growth, said Peter Hotez, dean of the National School of Tropical Medicine at Baylor College of Medicine in Houston. It's possible Zika's spread has been aided by environmental factors, such as climate change, poverty and urbanization. It's also possible the virus has mutated. To really understand whether dengue antibodies exacerbate Zika infections, researchers will need to study pregnant women, said Ernesto Marques, scientific director of Cura Zika, an international alliance between the University of Pittsburgh and Brazil's Oswaldo Cruz Foundation, known as Fiocruz. The National Institutes of Health announced this week that it will partner with Fiocruz in a study of up to 10,000 pregnant women in areas with Zika outbreaks, beginning with Puerto Rico and expanding to Brazil and Colombia. Leaders of the new study will study whether a past dengue infection increases the risk of complications on pregnant women and their babies. Researchers also will compare the health of babies born to mothers infected with Zika virus and those who were not, recording rates of miscarriage, premature birth, microcephaly, malformations of the nervous system and other complications. Researchers will study whether these problems are more common in women who had symptoms of Zika compared to those with no symptoms. Only about 20% of Zika patients develop symptoms, which include rash, fever, joint pain and pink eye. Researchers also will study whether complications are more common in women infected early in pregnancy compared to those infected later. Doctors will follow women throughout pregnancy and for six weeks after delivery. The team tested fasting blood samples collected from women with gestational diabetes within two months after delivery -- predicting with 83 percent accuracy which women would develop the disease later on. These results were significantly better at predicting the development of type 2 diabetes than conventional methods, a fasting blood test followed by the time-consuming and inconvenient oral glucose tolerance test. The new method may also be able to predict individuals who may develop type 2 diabetes in the general population - a major advance at a time when more than 300 million people suffer from the preventable form of this disease. A next-generation blood test that's more simple and accurate than the current options could help to identify individuals who would benefit most from more timely and effective interventions to prevent type 2 diabetes. July 31 is the deadline to submit your CME presentation and workshop proposals for AAPA 2017 in Las Vegas! Questions? Contact conferencecme@aapa.org.